Nothing gets to be as popular as Monarchs are, without either a really clever or unbelievably pervasive marketing campaign, and butterflies have opted for the latter. During the 90's, Monarchs were everywhere. I remember days in the schoolyard as a kid when, if the custodian had been particularly neglectful in mowing the lawn, you would have to walk through clouds of fluttering wings to get to the baseball diamond or the sand pit. 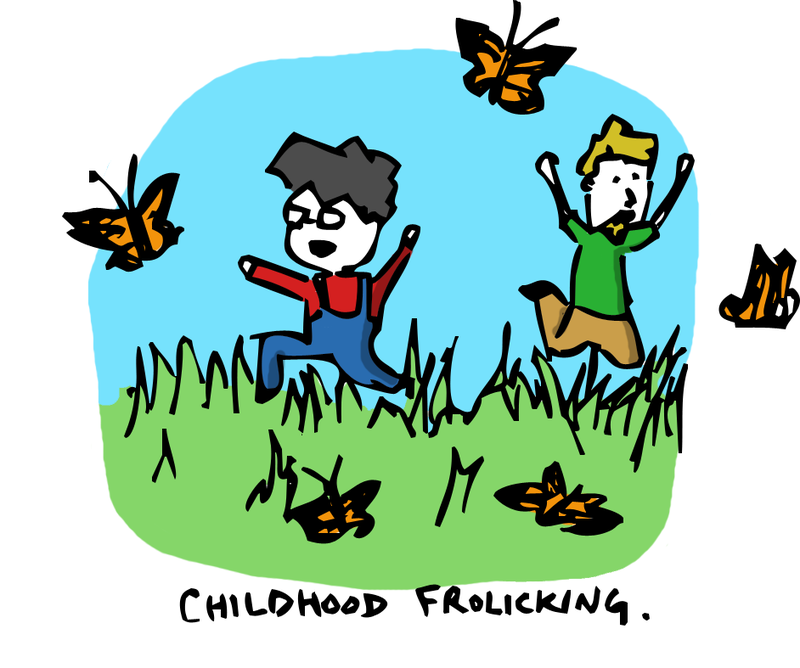 I used to catch caterpillars and raise them into adults. It was a scene out of a damn fairy tale, but like most fantastic moments in life I didn’t appreciate it until it was over. It has been a long time since I got to walk through a swarm of Monarchs and that isn’t just because I don’t spend my afternoons attempting to move enough sand to reach China; it’s because the butterflies that defined much of my childhood are disappearing. It’s not that some evil person or corporation has set out on a mission to wipe out the Monarchs. It actually is the fault of a company many people would argue is evil (Monsanto – another story altogether), but even they aren’t doing it on purpose. See, much of the trouble for Monarchs can be traced back to the fact that they depend on a plant we consider a weed for their survival. They lay their eggs on, spend their caterpillar-hood living on, and exclusively eat Milkweed. Our prejudice for the plant is right in the name. Milkweed used to be everywhere, mostly because it is incredibly hearty. 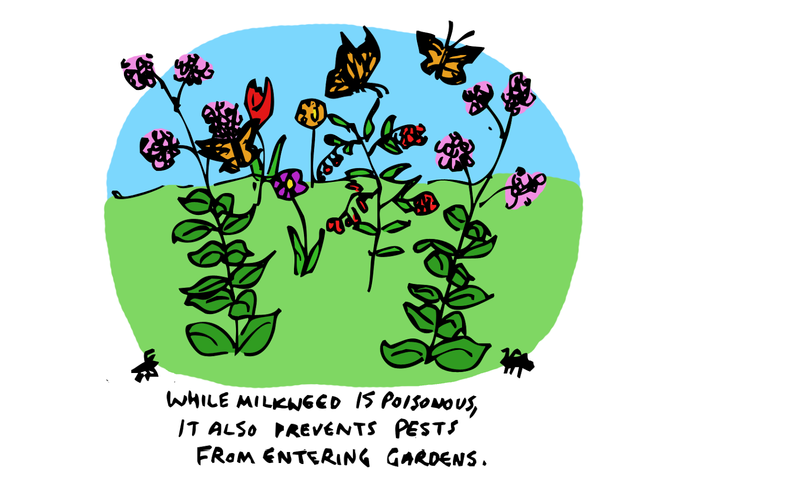 Give Milkweed half a chance and it will spread like wildfire across farm fields, backyards, playgrounds, railroad tracks, and wherever else there is sunlight and soil. 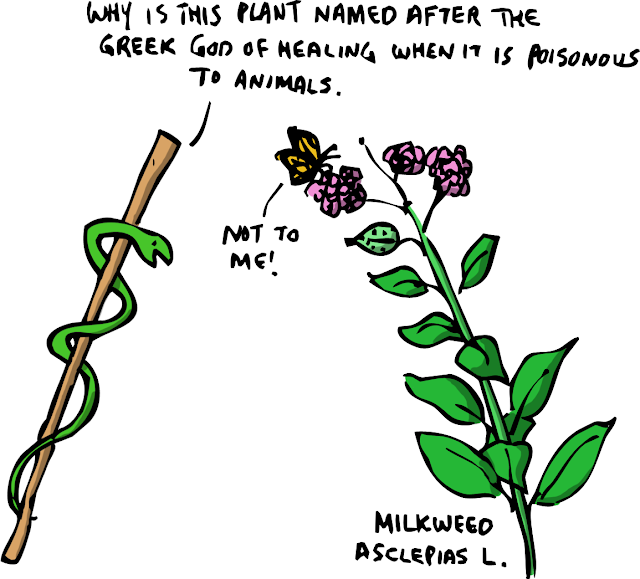 Unfortunately, thanks to genetically modified crops and advances in pesticides, Milkweed has had significantly less than half a chance to grow for the past two decades. On top of this, the forests in Mexico, where Monarchs spend the winters, have been decimated by illegal logging and climate change is making their migration tougher every year. One of the most incredible things about Monarchs is the distances they travel. It isn’t that a single, massive population constantly exists all across North America; every spring, Monarchs in Mexico take to the sky and fly north. It is this migratory population that exists at different times of the year all over the map. That is part of the challenge; when you rely on so many different places to be environmentally intact, you are very vulnerable to one of them dropping the ball. 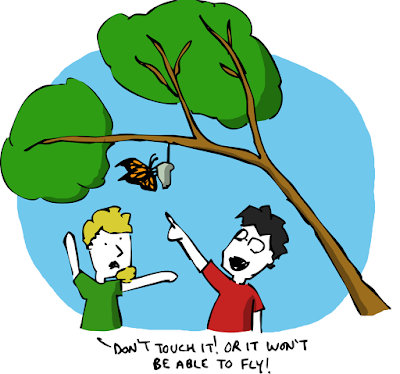 In the mid-90s, the total population of Monarchs was estimated at around one billion insects. 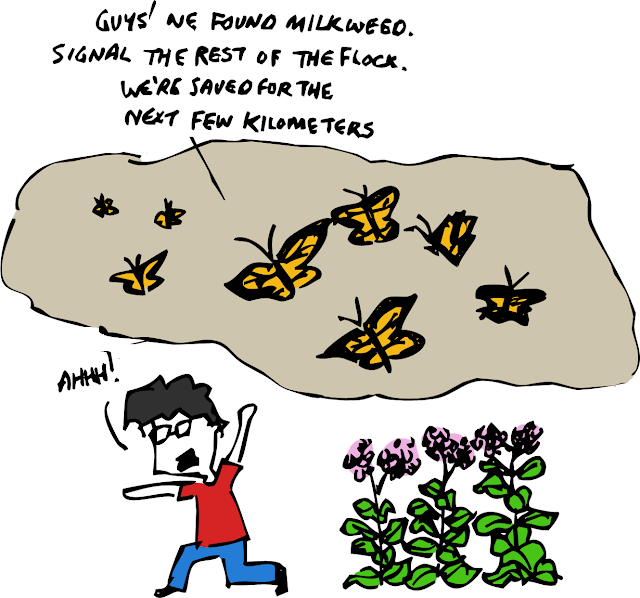 Since then, thanks to the death of Milkweed and the other factors mentioned above, the population has fallen by over 84%. During the winter of 1996-1997, trees that were literally weighed down by blankets of butterflies covered over 18 hectares of land in Northern Mexico. By 2013-14 the area was less than one hectare. 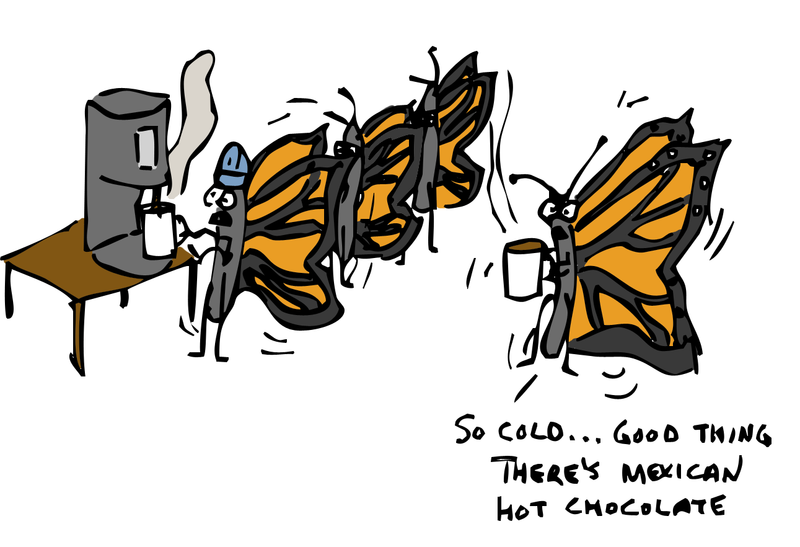 Things are bad in butterfly land. Fortunately, there is hope. Citizens and environmental groups across the three countries where Monarchs range have taken action. This year, the group Monarch Watch in the US plans to distribute between 200,000 and 300,000 Milkweed plants for people to plant. In Canada, groups like the David Suzuki Foundation are doing the same. Along with these efforts, groups are working with farmers to rent land on which Milkweed can regrow, in what is called an “exchange.” The idea is that farmers rotate spraying pesticides on different areas of their land, setting aside a little each year for Monarch habitat. Even still, the bugs are in trouble. This past winter saw a pretty impressive recovery in Monarch numbers, before a freak spell of frigid weather in Mexico wiped out as many as 100 million butterflies. Fortunately, this is a problem you can easily help correct. Go online and find a group near you that is selling Milkweed and get to greening your thumb. If you’ve wanted to get into gardening but don’t think you have the skills, what better way to build confidence than to actively try to grow a weed? With any luck, the butterfly population will grow with your horticultural ego and generations of schoolchildren will be all the better for it. So sorry to hear about the people of Fort McMurray. It totally agree with you, us humans can be the worst animals and be each others enemy. so as to qualify, patients should be examined by a doctor and written a recommendation for cannabis. Then they need to submit associate degree application to the health department therewith recommendation to be issued a CA medical cannabis card. if you want to know more then please visit our Cannabis Stores in Englewood website.